One thing you can rest assured about, is there are 100's of companies in the UK that offer their services to deliver mobile bar hire. However, what might keep you up at night is the quality of the company you choose, their experience and whether they can deliver of their promises. 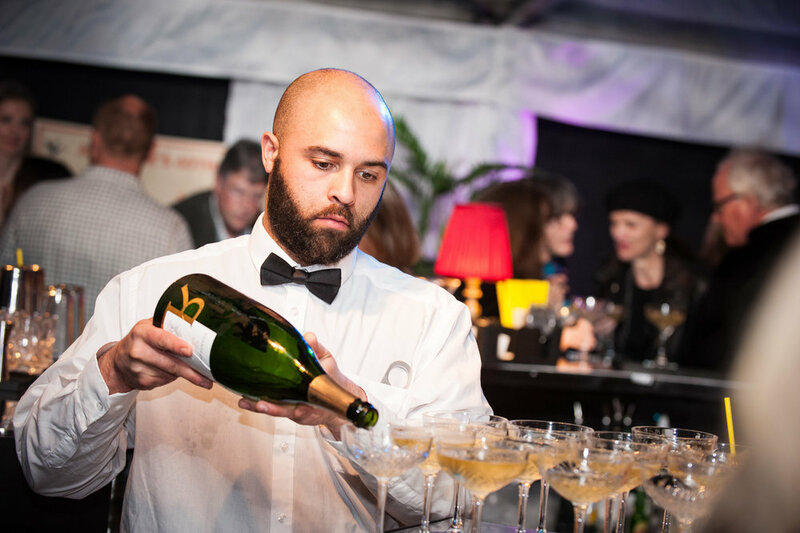 Delivering a high quality, seamless mobile bar for a high volume event is no easy task, but we have compiled a few things to consider to ensure you pick right and don't fall victim to a sub standard service. There are very few companies out of the 100's that you will be faced with that can deliver quality at volume. This is critical as an event bar can fall apart if not properly managed, the volume of stock is not correct, the drink quality drops, the staff quantity is not correct etc etc. be sure that you are getting the correct advice from your supplier and if you don't feel 100% confident before the event, there is likely to be a problem. This goes for any events company you work with from marquees, mobile bars and caterers. It is very important you do your homework and find out how long the mobile bar hire company has been established. You will also get a feel from the website to the person who picks up the phone about the professionalism of the bar company. The key to live events and their delivery is professionalism but most importantly experience. The Cocktail Service has delivered over 5,000 events since 2009 so we have the benefit of experience to help us deliver great events. The most expensive companies, in this industry, are probably the most established and (usually) will give you the best end to end service. Similar to high volume, there are very,very few who can deliver a super premium event bar. With these types of events, the budgets and the stakes are high, as there will be expectation for incredible service, drinks and aesthetics. Be very careful here. With events of this nature, your event bar supplier, should, be able to deliver anything you require from ice bars, bespoke staff uniforms, incredible themed bars, model floor staff, dry ice etc etc. Nothing should be beyond the realms of possibility. Ensure you question what similar events have been delivered by the supplier in the past. The top companies will have a strong experience and have the capability to delivery a truly bespoke mobile bar experience. 5. Beware of Catering Companies That Do Bars! We will not tarnish every caterer with the same brush, there are some that do bars well. However, there are 100's more that do bars badly. For a caterer, doing the bar is a high value up sell. However, 99% of the time it will cost you more (through their need to hire in all bars, glassware and event staff!) and the quality of the product is almost certain to be poorer. You don't find many mobile bar companies that bolt catering onto their package and there is a reason for that, it is not something they specialise in. Be careful when saving hassle going through a caterer for the whole package- it will cost more and the service quality will be far worse. So there we have it, a few tips on how to make the right choice when selecting a mobile bar company. If you require an estimate on an event then please feel free to Contact our team at The Cocktail Service who will be happy to advise you and produce a quote. You are also welcome to browse Our Work to see where we have been.